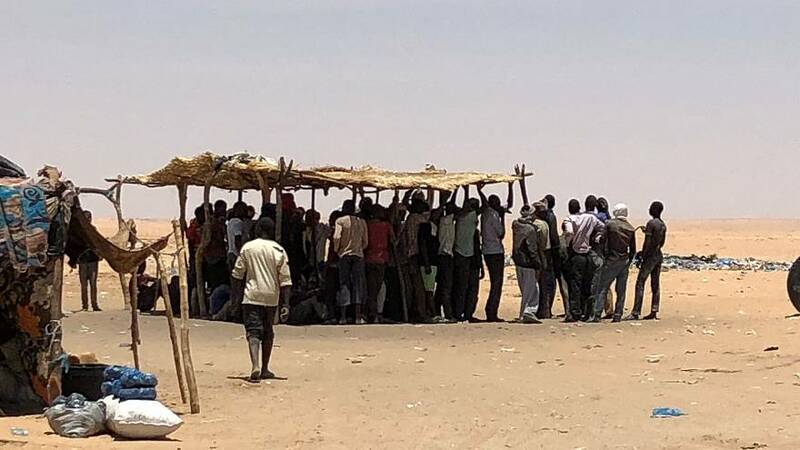 Dozens of migrants have died in the searing heat of the Sahara Desert and thousands more are stuck there amid a wave of expulsions by Algeria. 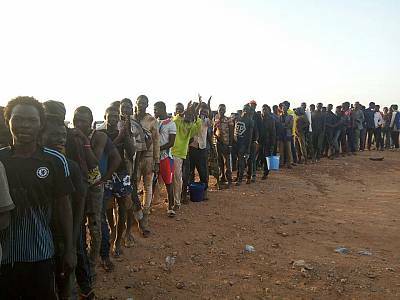 The United Nations migration agency, IOM, says it is providing shelter for 3,500 migrants in neighboring Niger, a landlocked nation that has become a crossroads on the trail towards Europe and a hotspot for human traffickers. Algeria last year launched a crackdown on illegal immigration across its southern border, and has stepped up patrols along the largely unmarked desert frontier. "Recently we found a group that started out as 50 but only 6 remained alive." It has also begun deporting thousands of sub-Saharan Africans who are living in Algeria without consent — typically from countries such as Mali, Cameroon and Nigeria. The result is a southward stream of migrants across the sparsely-populated region in temperatures of up to 120 degrees. On a single day last month, 1,500 arrived at the remote border village of Assamakka, according to Giuseppe Loprete, IOM chief of mission in Niger. Migrants dropped there by Algerian authorities face a 250-mile journey to the nearest town, Agadez. Many give up seeking transport and walk. "Most of them have no money or identity documents, food or water," Loprete said. "They are traumatized. In some cases they have been unable to get transport and have walked or they have been abandoned by human traffickers and don't know where they are." At least 7,000 are expected to pass through in the year to June, according to IOM estimates, often carrying children or a few belongings. In the desert heat, one day without water is enough to cause death from dehydration. "The territory makes it difficult to verify numbers but most groups we find have reported deaths along the way," Loprete said. "Recently we found a group that started out as 50 but only 6 remained alive. The total number of deaths must be in the dozens in this current crisis and definitely in the thousands since 2015." 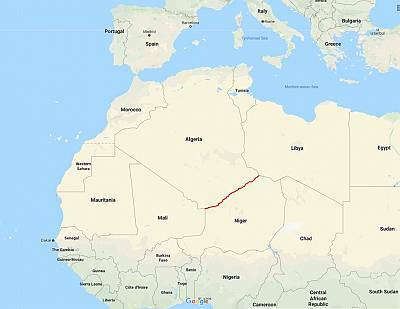 Niger's border with Libya is formally closed and heavily militarised and so Algeria border has become a major destination. No official figure is available for the number of undocumented migrants in Algeria, but some unofficial estimates put the total as high as 100,000. Algerian Foreign Minister Abdelkader Messahel last year said migrants are "a threat to national security" and vowed to step up deportations. Despite the uptick in deportations and the risk of death on route, there are still some migrants heading north in search of a better life. "We can only explain the dangers and give them advice," Loprete said. "Some are determined to go into Algeria but a lot of them get robbed by the traffickers and end up back here with no money. Some just give up and go home; we can arrange that with consular help." Human Rights Watch has reported that Algerian officials are rounding up migrants from streets or construction sites and holding them in crowded deportation centers before expelling them over the border into Niger.